These are definitely not the best of times for Nigeria’s most popular car dealer, Alhaji Lanre Shittu who recently lost his beloved wife to untimely death. 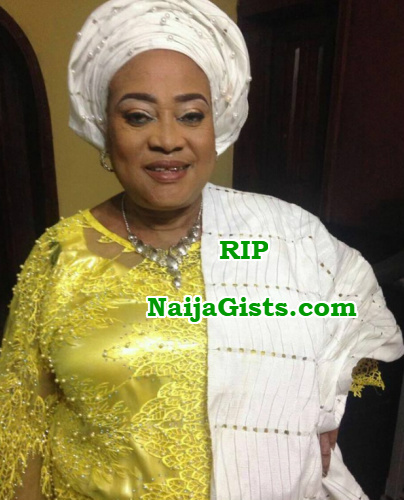 Lanre Shittu Motors as he is fondly called lost his wife, Alhaja Wuraola Shittu last weekend in London. Since the heartbreaking new broke, members of the high society in Nigeria and all over the world have been calling the popular auto dealer to pay their condolences. 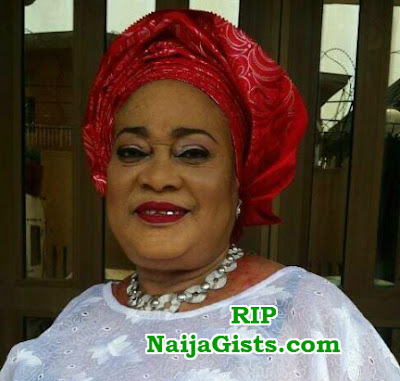 According to insiders, the body of Wuraola is expected to arrive Nigeria soon for burial. A family insider who requested anonymity said Alhaja Shittu lost her battle to cancer at a cancer treatment facility in London last weekend. Late diagnosis reportedly caused her death as the disease was detected at the terminal stage. My condolence to her Beloved Husband.